So I have never liked Potato Salad. Like ever. Don’t know what it is. I’ve tried loads: German, American, with mustard, without mustard. I was no expert because, well, I didn’t like it! But I’ve done my best, tried lots of kinds and gave it a fair chance. But there I found myself one day, with the assignment of “potato salad” staring me in the face to bring to a potluck lunch. But this time, I thought dangit- I’m going to make a potato salad that I like! So I started off by roasting some sweet taters because I know I love those. 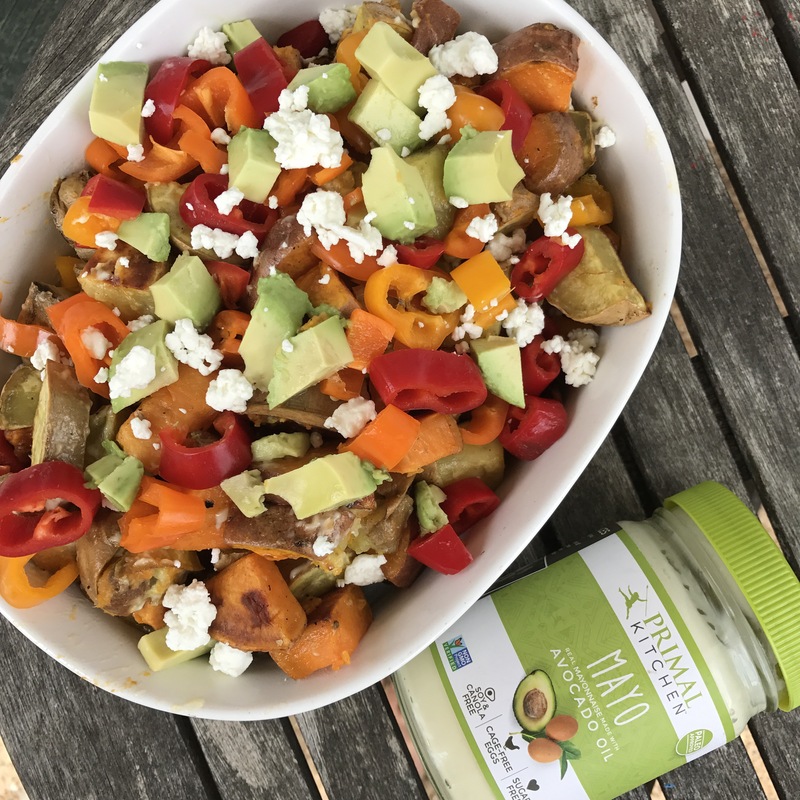 Then just kept adding things and flavors that I liked- avocado for healthy fats and richness, peppers for lightness crunch and mild sweetness, herbs de Provence, goat cheese for more richness and tang… and BAM! 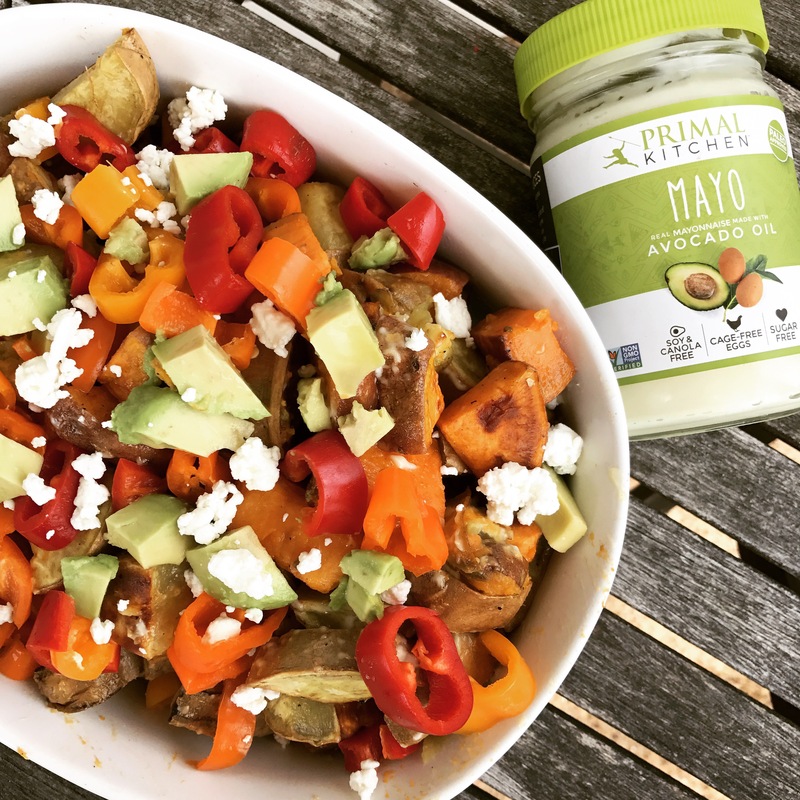 Came up with a nutrient dense potato salad that I LOVED. Came home with an empty dish too, which always makes me smile.